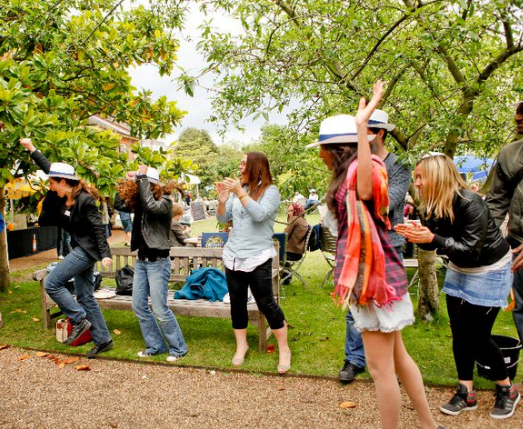 Ricard, will be hosting the Ricard Pétanque Garden Party at the Chelsea Physic Garden on Saturday 14th July to celebrate Bastille Day. 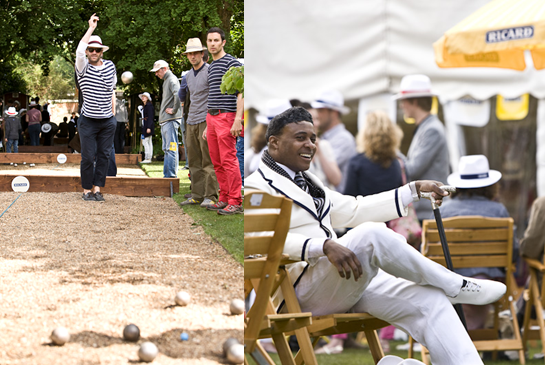 Guests will be invited to play France’s most traditional sport, Pétanque; a form of boules, as well as enjoy Ricard cocktails and a gourmet French BBQ, amongst other highlights. The party will bring to life the charming atmosphere of the South of France; giving this quintessential English garden once again a unique Gallic twist. Guests will arrive through a beautiful leafy gate before being ushered to the gardens by the ‘Lost & Found’ dandy hosts, who will entertain with their curious and wonderful tales. Serious petanque fans will be invited to join an all day tournament, while more amateur players will improve their skills on the ‘have-a-go’ pitches beneath the tranquil shadows of the gardens. 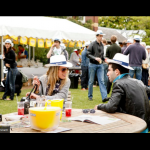 Croquet, treasure hunts, giant Jenga games, as well as a host of other activities will be on offer, ensuring a perfect afternoon of entertainment for all, as crowds relax and enjoy a refreshing Ricard cocktail. French band, Trio Manouche, will provide the music, with its gypsy jazz vibe creating an ideal soundtrack to this playful day. The bar will serve Ricard cocktails, including the classic Perroquet and delicious Marseille Fizz. For the first time ever, an exclusive Ricard ice cream has been created showcasing the great taste of Ricard in a new way. The Ricard ice cream has been created on a vanilla base with an infused flavour of mint; reminiscent of the iconic Ricard mojito recipe. A mouth-watering gourmet French BBQ will provided by the Tangerine Dream Café, set within the Chelsea Physic Garden. The café has a philosophy of expertly sourced seasonal ingredients, simply cooked and well presented, which change throughout the year. The Bastille inspired menu will please even the most demanding food lover. Cold French picnic specialities and crepes will be available in addition to the delicious minute steaks and merguez sausages on the grill. Cheese and charcuterie boards will also be on offer, with tempting pastries and lemon tarts for those with a sweet tooth; ensuring every palate is catered for. Guests who would like to take part in the Petanque Tournament will need to arrive at 11am to register and receive their complimentary cocktail. All other guests will be invited to play on the more relaxed, ‘have-a-go’ pitches; with no need to pre-book.